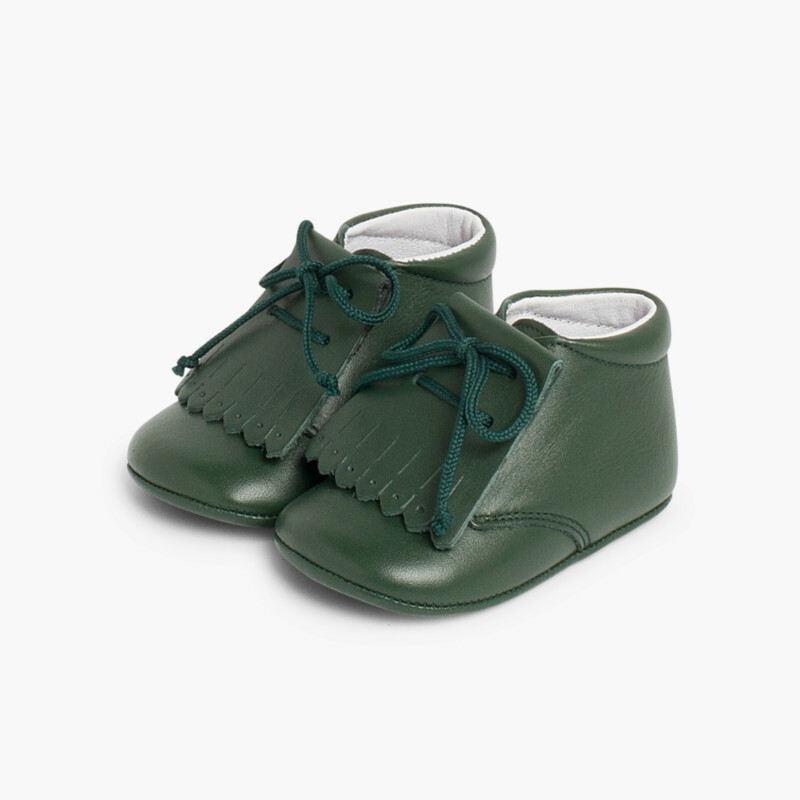 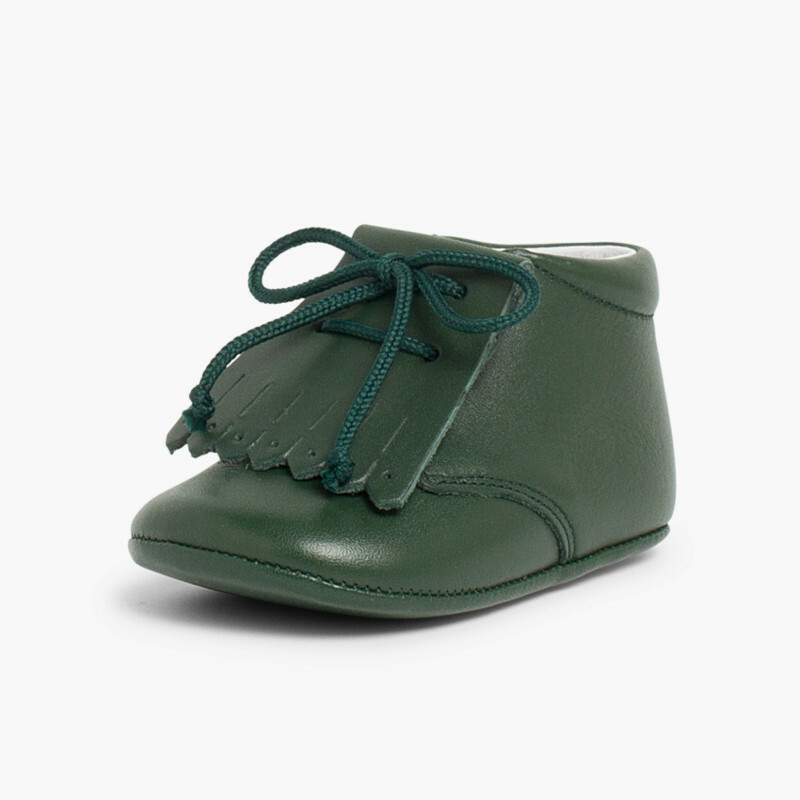 Beautiful booties for babies in leather with an original fringe trimming on the laces. 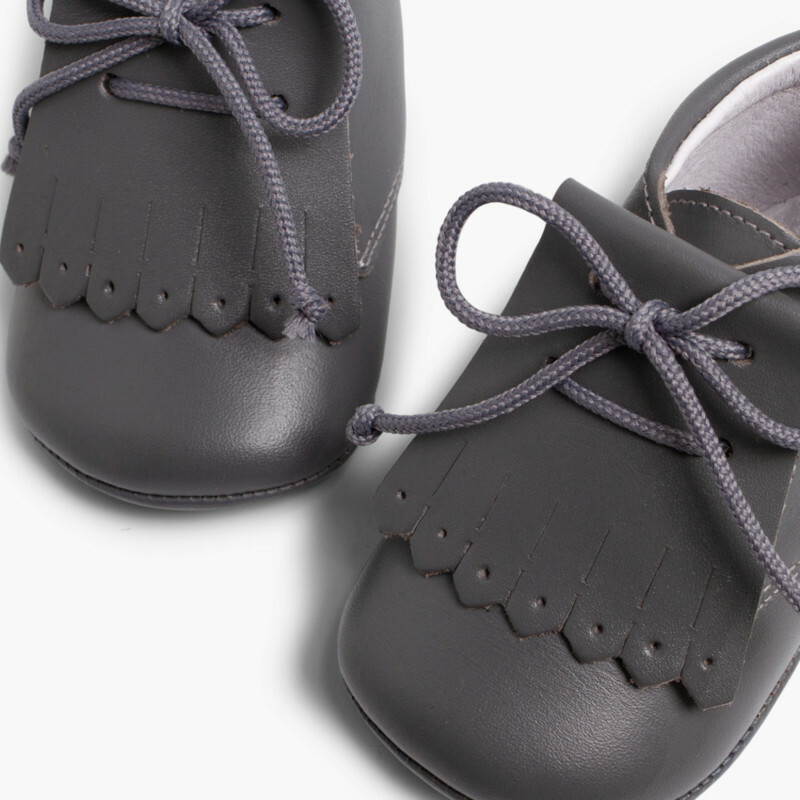 A recommended choice for little ones who have not yet taken their first steps. 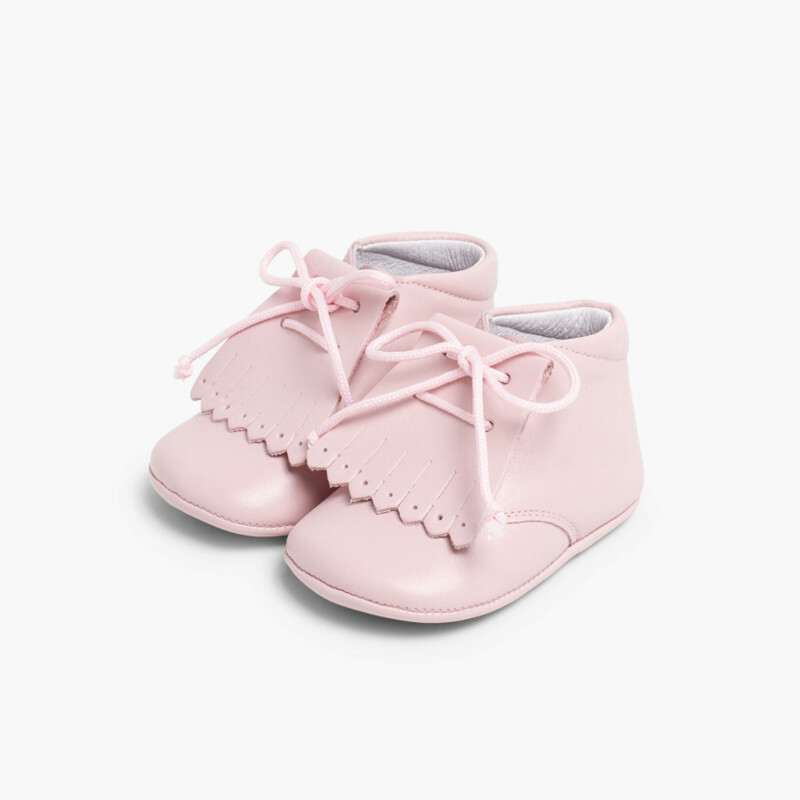 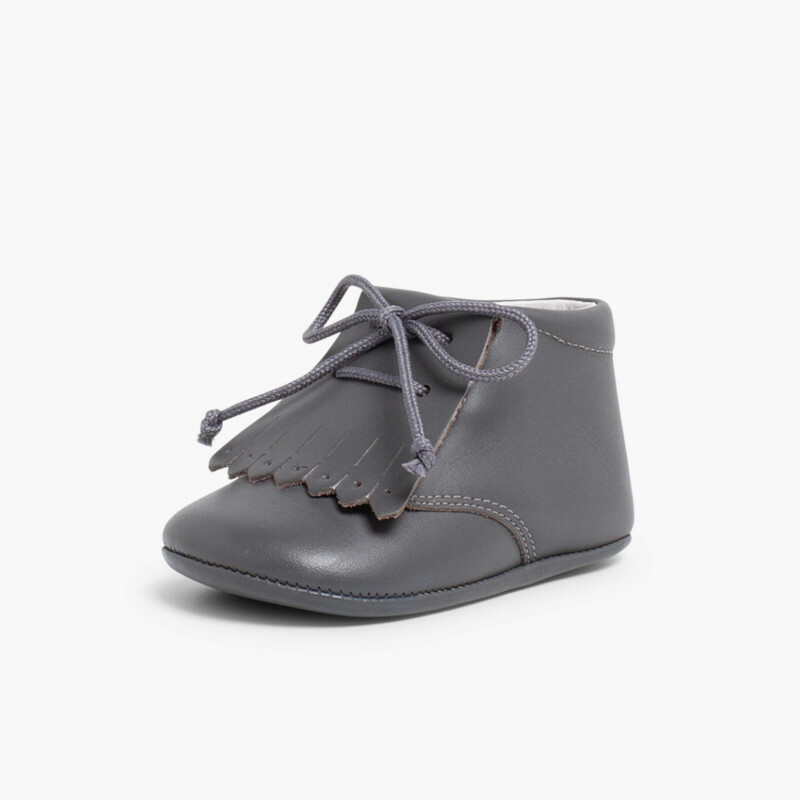 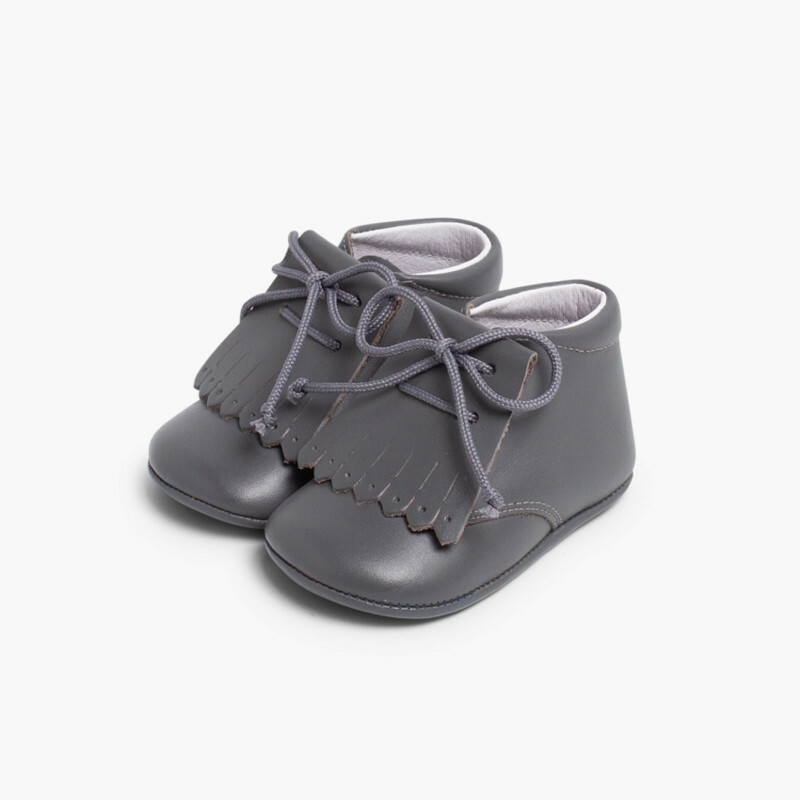 These baby badana-style booties stand out for their leather fringe trimming, removable to adapt to the style you prefer each day for your little one. 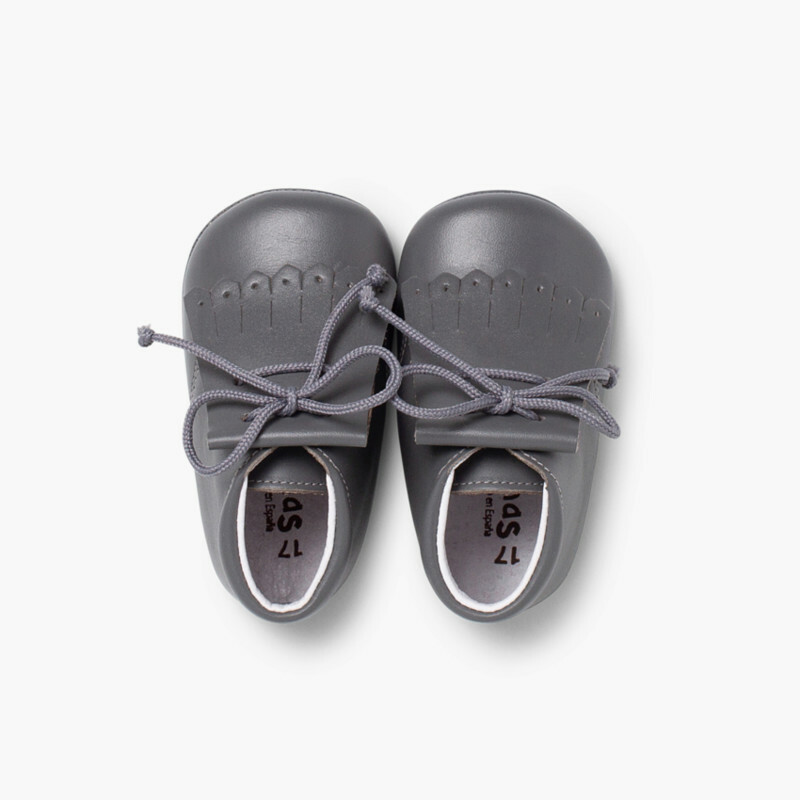 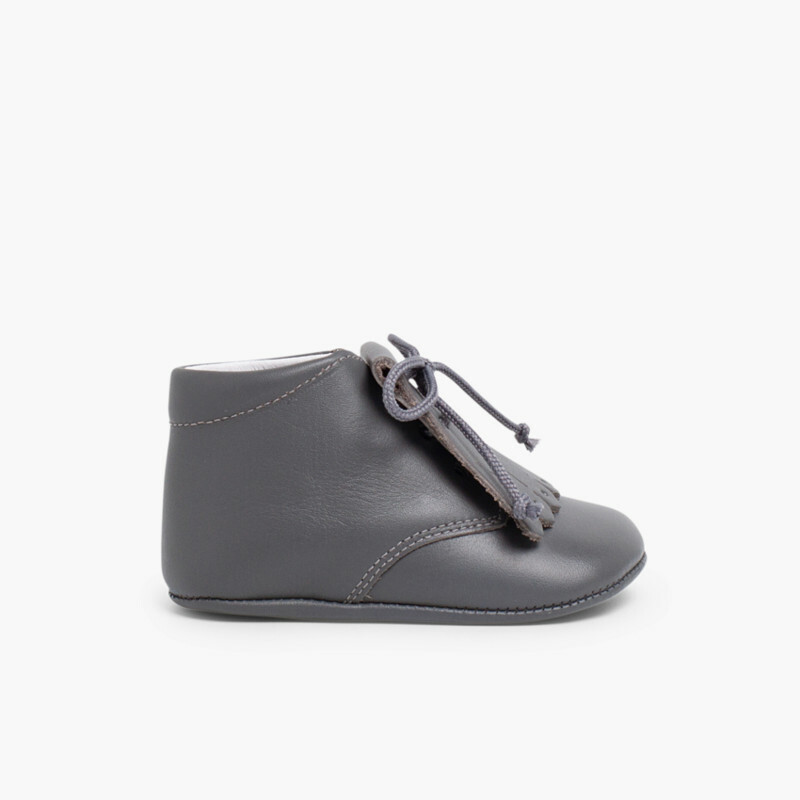 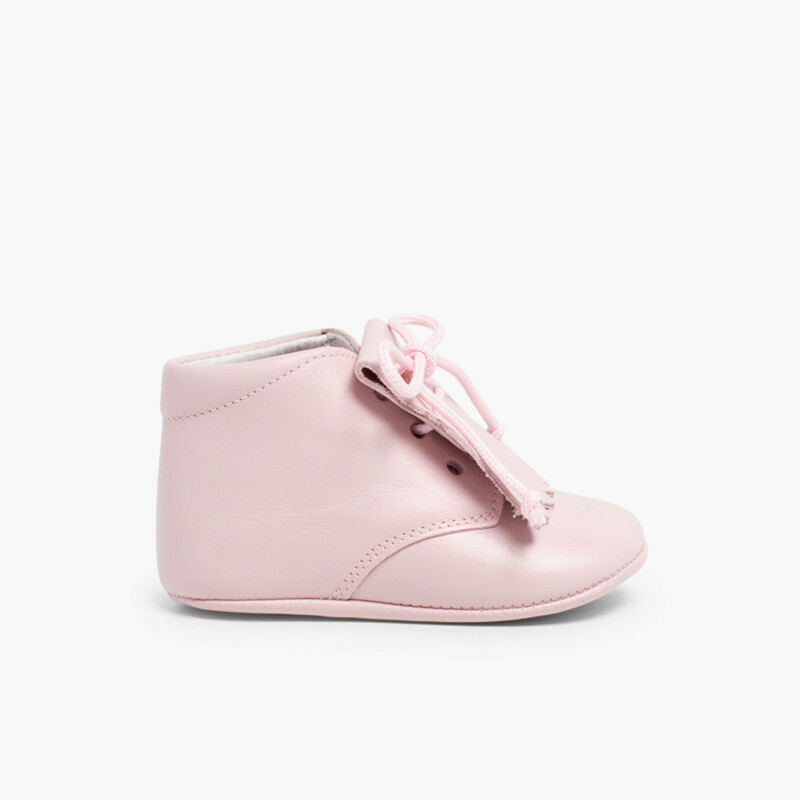 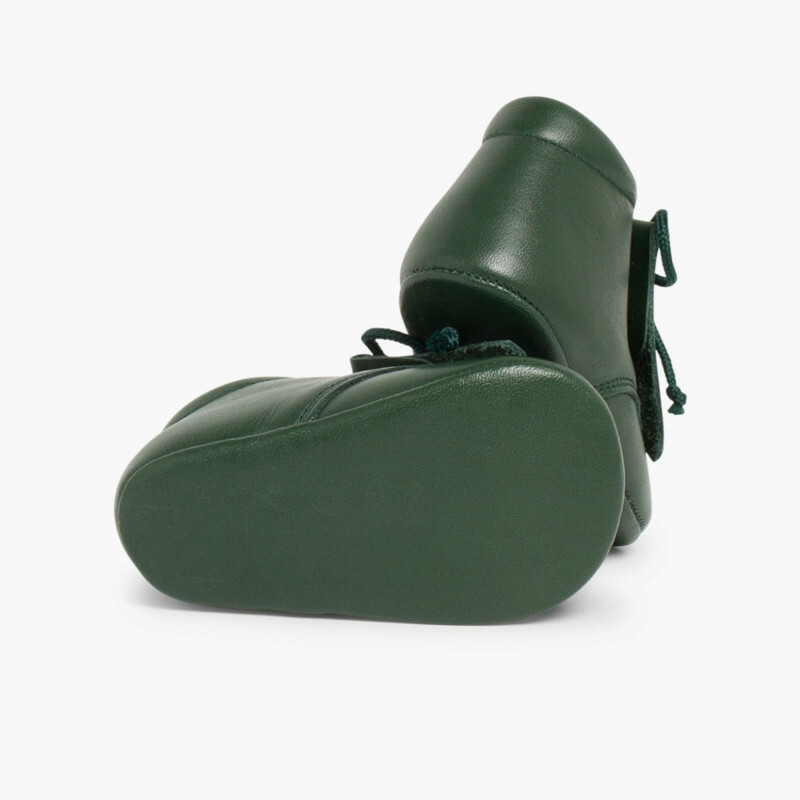 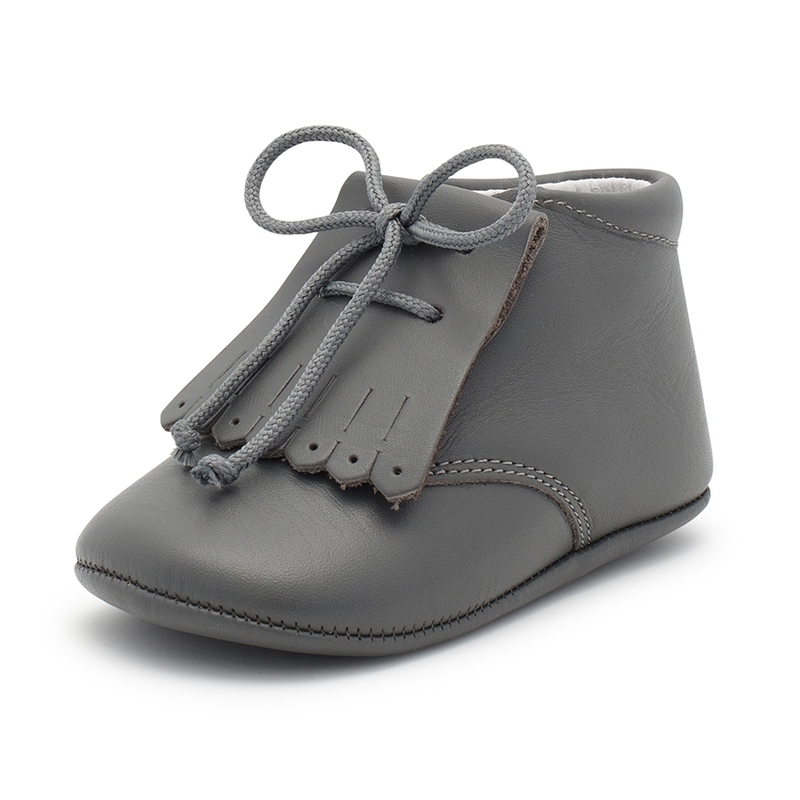 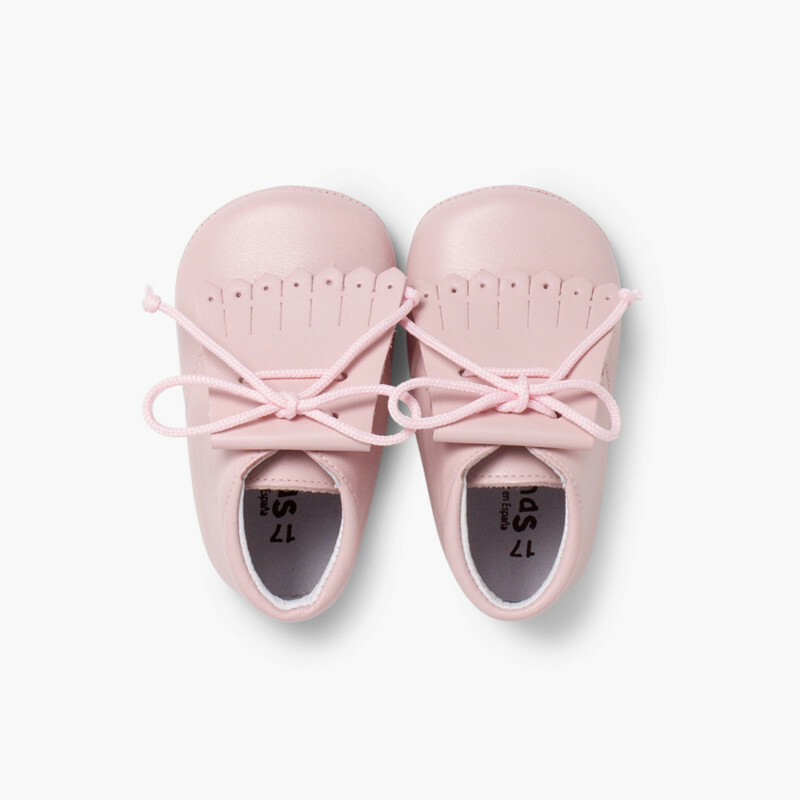 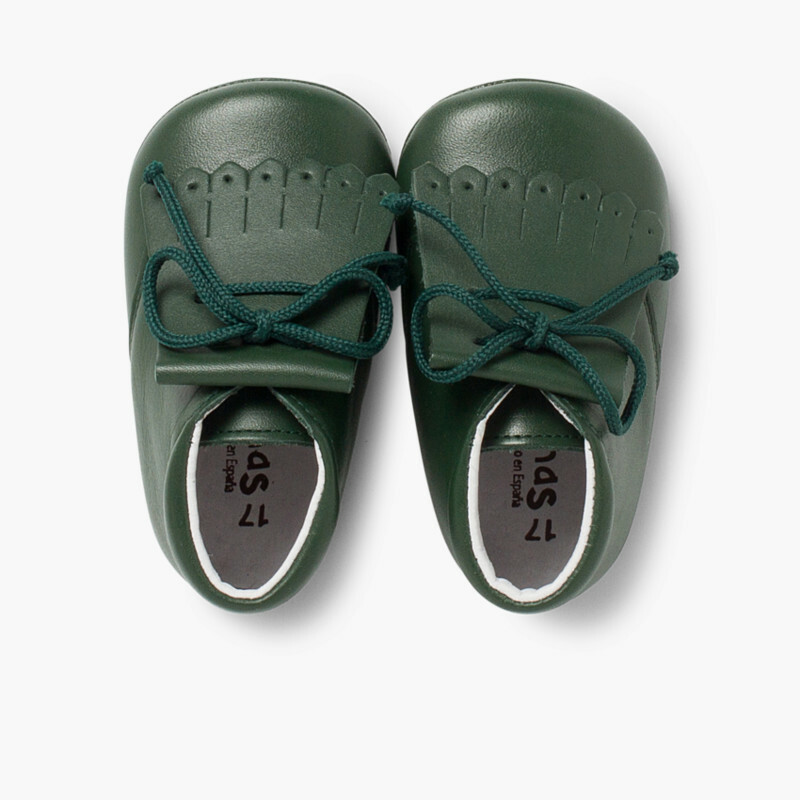 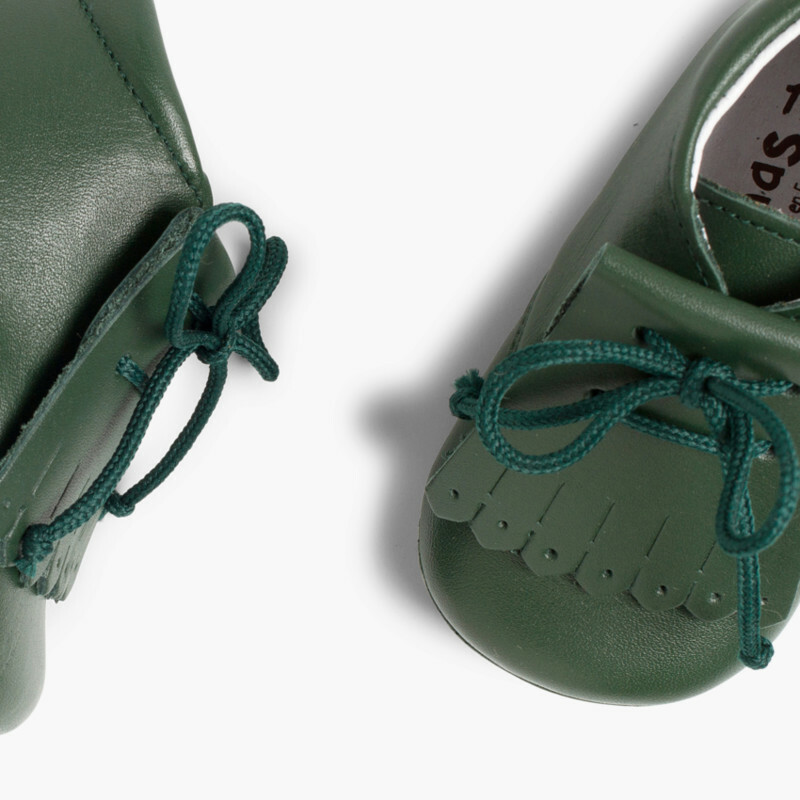 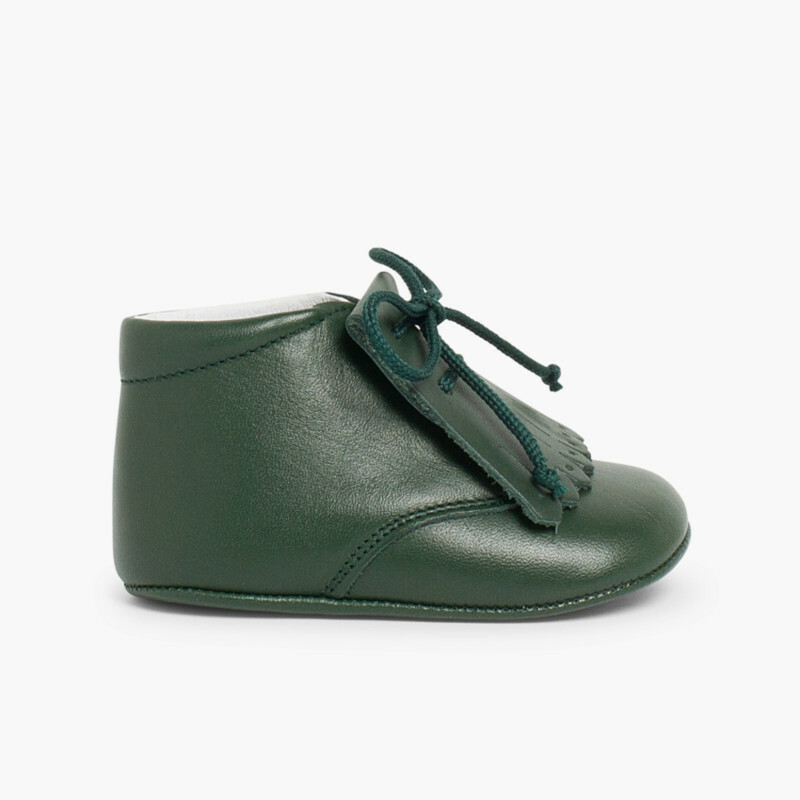 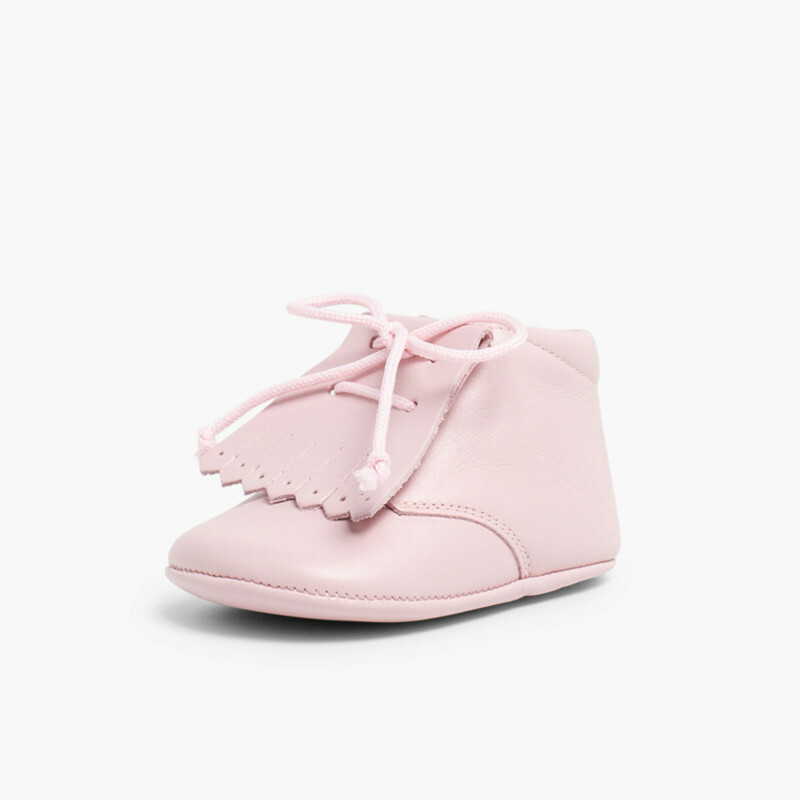 And because this is footwear for toddlers, the sole is also soft leather. 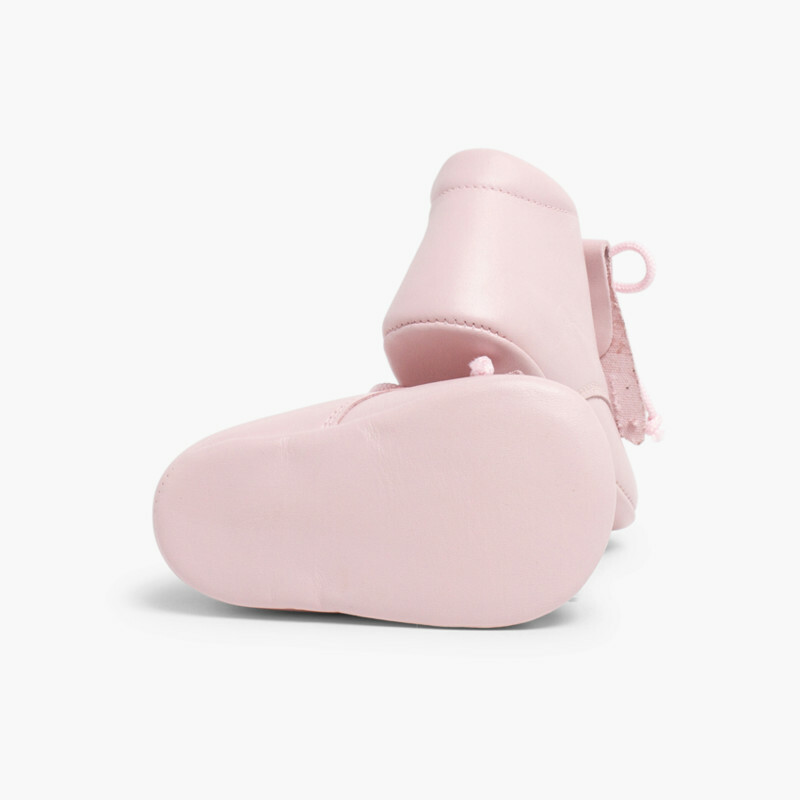 Maximum comfort for your baby's first shoes! 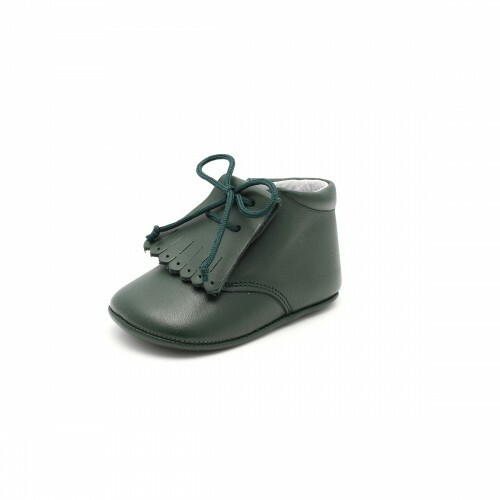 Available from the Pisamonas collection in three perfect colours for autumn, green, pink and grey, and in sizes 0.5 child up to 3 child. 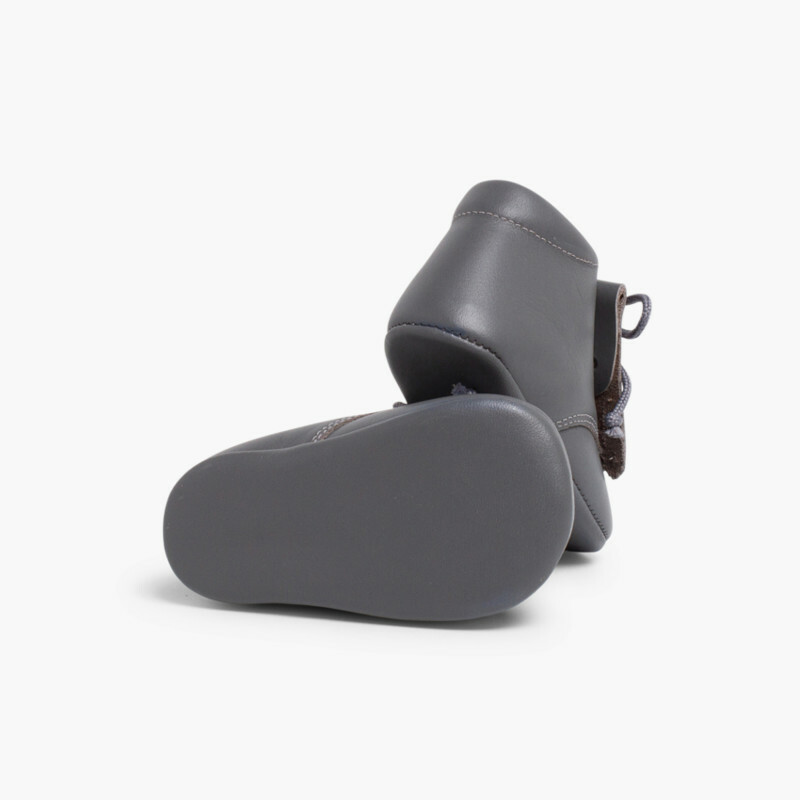 Deliveries, exchanges and returns are free of charge.